Jessica & Talbert were married at the beautiful St. Mary’s Episcopal Church in Enterprise, MS. This white chapel built in 1874 was the perfect ceremony venue for our bride and groom, as elegance was found in the simplicity of details. 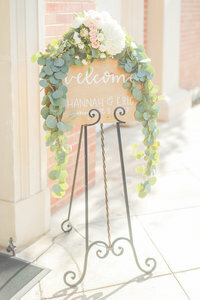 The bride’s mother created the vintage signs as a surprise to the couple. I told her we needed to hire her to help with design projects for other weddings in meridian! She also bought the bride some beautiful accessories from Katherine’s Bridal Boutique. The beautiful cross that was once on top of the church fit perfectly with the decor. 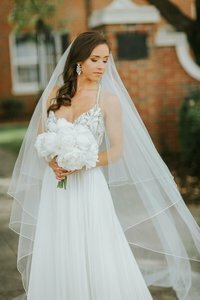 The bride carried a bouquet of white and ivory hydrangea, peonies, ranunculus and garden roses and wore a stunning gown by Lazaro of ivory silk radzimir. 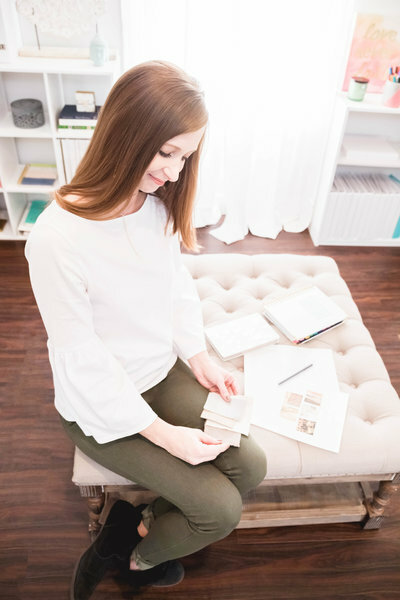 Dement Printing, of Meridian, MS, designed the beautiful wedding programs while a personal friend of the brides sketched the church for the front of the programs. The bridesmaids wore designer gowns by Bari Jay, from The Bridal Path in Jackson. 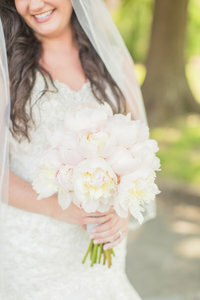 They carried bouquets of white hydrangea and ranunculus. The guys sported black tuxes from Joyce’s Etc., in Meridian, with white ranunculus boutonnieres. The groom seeing his bride for the first time as she walks down the aisle. Great job Phillip Carlisle Photography on capturing this first look photo! Mr. and Mrs. Talbert Goldman! This was one of my favorite pictures from the entire wedding. The chapel was absolutely perfect in every way for this elegant, Southern wedding. If you are looking for an intimate ceremony venue in Enterprise, MS, consider St. Mary’s Church. It holds 100 guests or less, so keep that in mind if you were planning to have a large wedding ceremony. The couple choose to have only family at their ceremony after falling in love with this chapel, since it would not accommodate their entire guest list. For more details on this church feel free to comment or send me an email. Here is one last photo of the fun wedding party! Stay tuned to the blog for pictures from the gorgeous reception held at MSU Riley Center. Men’s Formal Wear: Joyce’s Etc.